This entry was posted in Uncategorized on 29/08/2017 by klarmprototyping. MOBO TOYS’ were made by D. SEBEL & CO., ERITH, KENT, ENGLAND from 1947 to 1972. The Lant Street premises were not going to be big enough for the toy and furniture business envisaged and so the ex Vickers Gun Works at 177, West Street, Erith, Kent were purchased in February, 1947. As the intention was to produce everything in-house from the arrival of the raw material to the finished product, the full kitting out of the factory with large presses, dip tanks, spray booths, etc. took a while. Toy production did not start at Erith until September, 1947. However, some toys had been assembled at Lant Street, produced by outside contractor’s, to enable a display at the British Industries Fair in May,1947. 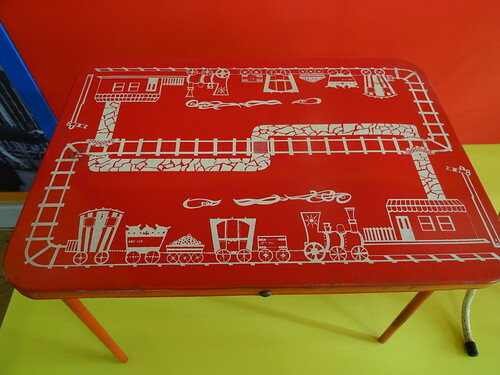 The other toys on show were Merry Go Round,Rocker Swing, Chair Desk and Roll-a-Bye Skates. The name ‘Mobo’ came from a brain-storming session when ‘Mobile Toys’ had been rejected. The clown on the decal was due to an interest in the Circus by the David Sebel. The Circus theme was used in a lot of their Exhibition Stands and advertising. A tin clown was designed but never went into production. It would have been an early Action Man!. Later advertising and instruction sheets used the Mobo title as two characters ‘Mr Mo’ and ‘Miss Bo’. 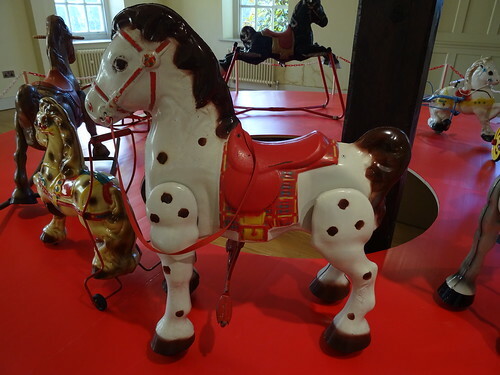 The body pressings were also used for a series of other toys SPRING HORSE (PRAIRIE KING), NIGHT RIDER, PRAIRIE PRANCER, RANGE RIDER two different types produced, ROCKING HORSE, & BRONCHO MERRY GO ROUND. In 1949 the ‘Walking SNAIL’ was introduced at the New York Toy Fair, also at the same fair the ‘PONY’ was first shown. 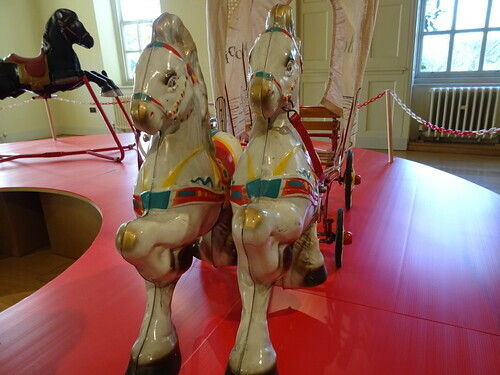 The ‘Pony’ pressings went on to be used on several different toys – PONY ROCKER, PIONEER WAGON, PONY EXPRESS, PONY KART, PONY BUGGY, SURREY TROTTER, TODDLE PONY. 1948 also saw the introduction of the first small remote control walking toy – the TOY-TOISE. This was a great success not just for children, but also adults, as they were used for Toy-toise races at many parties. The SPANIEL – at first sold as PUPPY – and SPANIEL followed with the same mechanism, also a CANOE. Other toys produced included Prams, Bicycles, Desks, Wheelbarrows, Rockers, Swings, Scooters and from 1956 Pedal Cars. In 1955 the Toy Boat business of Harold Flory Ltd., of Bromley, Kent was taken over. They produced the SNIPE, SWIFT, ST. CHRISTOPHER Motor Boats, the SPRITE YACHT, and the SNORT SUBMARINE, also Toy Cars. The boats were continued in production by Mobo’s. 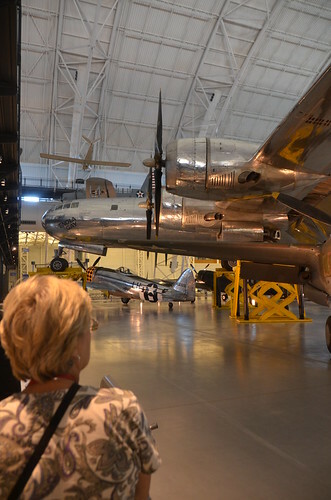 Jetex, the Model Aircraft Engine business was purchased in 1956. Besides a range of Jet propelled engines they also produced model kits for aircraft and a plastic boats and cars for the Jetex engine. By the late 1960’s the British toy industry was having a difficult time due to cheap imports from the Far East. When John Bentley of Barclay Securities made an offer to purchase the Company in 1970 it was taken up. The Barclay Toy Group was formed to which Chad Valley, Charles Methuen and Tri-ang were added in 1971. Unfortunately the overheads of the Group meant that losses were still being made and a major reorganisation took place in 1972 with the Erith Works being closed and all production of all Mobo Toys ceasing. The site is now a large housing estate. This entry was posted in Uncategorized on 27/08/2017 by klarmprototyping. This entry was posted in Uncategorized on 24/08/2017 by klarmprototyping. Plastic being an economical and versatile stuff is used in almost all parts of the world. Injection molding is a manufacturing process in which plastic is molded to parts of a device or any appliance by use of suitable machines. Be it keyboard, mouse, soda bottles or plastic components in a home appliance, these are made from injection molding process. Selecting a top notch plastic injection molding company is crucial to get premium quality injection molded products at a cost effective rate in a professional and convenient way. Asia Billion Industry Co. Limited is a leading name among Plastic Injection Tooling Manufacturer China and caters to the needs of its clients worldwide. Based in Shenzhen City of China the company takes pride on its high quality products and services and offers maximum value for money to all its clients. The company has carved a niche in this tough competitive business world due to its unflinching commitment to provide impeccable quality products and services. Thus it fulfills plastic molding requirements of a wide variety of industries that includes Medical, Automotive, and Electric, Household appliances and others. With a well stocked inventory of a large number of injection molded automotive parts, CNC machining parts the experts can easily fulfill your molding tools and molded component requirements in a customized and comprehensive way. The company strictly follows a quality assurance program that ensures that all its products are tested to the highest standards and they provide optimum satisfaction and guaranteed peace of mind to the clients. So make it a point to consult an expert of this leading Plastic Injection Tooling Manufacturer China and discuss your plastic molding requirement or browse the online inventory by clicking on this link http://www.ab-industry.net/. With a dominant online presence, large inventory of molded products and user-friendly shipping policies, Asia Billion Industry Co. Limited will facilitate you to meet your plastic injection molding requirements in a prompt and professional way thereby saving your precious time and money. You can make a call on the no-0086-134 8063 8827 or email on sales@ab-industry.com. This entry was posted in Uncategorized on 23/08/2017 by klarmprototyping. This entry was posted in Uncategorized on 22/08/2017 by klarmprototyping. Jean Rédélé (1922 – 2007), the founder of Alpine, was originally a Dieppe garage proprietor, who began to achieve considerable competition success in one of the few French cars produced just after World War 2. The company was bought in 1978 by Renault. Using Renault 4CVs, Rédélé gained class wins in a number of major events, including the Mille Miglia and Coupe des Alpes. As his experience with the little 4CV built up, he incorporated many modifications, including for example, special 5-speed gear boxes replacing the original 3-speed unit. To provide a lighter car he built a number of special versions with lightweight aluminium bodies: he drove in these at Le Mans and Sebring with some success in the early 1950s. Encouraged by the development of these cars and consequent customer demand, he founded the Société Anonyme des Automobiles Alpine in 1954. The firm was named Alpine after his Coupe des Alpes successes. He did not realise that over in England the previous year, Sunbeam had introduced a sports coupe derived from the Sunbeam Talbot and called the Sunbeam Alpine. This naming problem was to cause problems for Alpine throughout its history. Coach Alpine A106 Mille Milles 1955 (First alpine). In 1962, the A108 begun to be produced also in Brazil, by Willys-Overland. It was the Willys Interlagos (berlineta, coupé and convertible). By now the car’s mechanicals were beginning to show their age in Europe. Alpine were already working closely with Renault and when the Renault R8 saloon was introduced in 1962. Alpine redeveloped their chassis and made a number of minor body changes to allow the use of R8 mechanicals. Through the 1970s, Alpine continued to campaign the A110, and later the Alpine A310 replacement car. However, to compete with Alpine’s success, other manufacturers developed increasingly special cars, notably the Lancia Stratos which was based closely on the A110’s size and rear-engined concept, though incorporating a Ferrari engine. Alpine’s own cars, still based on the 1962 design and using a surprising number of production parts, became increasingly uncompetitive. In 1974 Alpine built a series of factory racing Renault 17 Gordinis (one driven by Jean-Luc Thérier) that won the Press on Regardless World Rally Championship round in Michigan, USA. In fact, having achieved the rally championship, and with Renault money now fully behind them, Alpine had set their sights on a new target. The next aim was to win at Le Mans. Renault had also taken over the Gordini tuning firm and merged the two to form Renault Sport. A number of increasingly successful sports racing cars appeared, culminating in the 1978 Le Mans win with the Renault Alpine A442B. 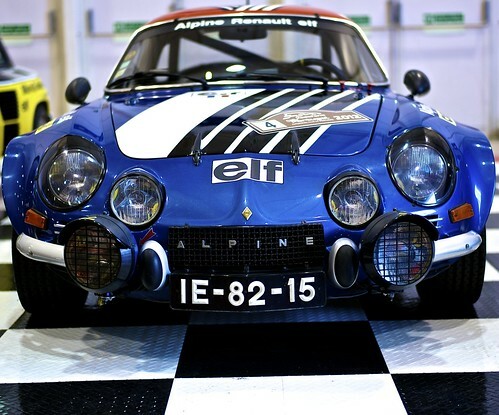 This was fitted with a turbo-charged engine; Alpine had been the first company to run in and win an international rally with a turbo car as far back as 1972 when Jean-Luc Thérier took a specially modified A110 to victory on the Critérium des Cévennes. The last Alpine, an A610, rolled off the Dieppe line at 7. April 1995, Renault abandoning the Alpine name. This was always a problem in the UK market. Alpines could not be sold in the UK under their own name because Sunbeam owned the trade mark (because of the mid-50s Sunbeam Alpine Mk I). In the 1970s, for example Dieppe were building modified Renault R5s for the world wide market. The rest of the world knew them as R5 Alpines but in the UK they had to be renamed to R5 Gordini. Strangely enough with the numerous company takeovers that have occurred, it is another French company, PSA (Peugot/Talbot/Citroën) who now own the British Alpine trademark. Between 1989 and 1995, a new Alpine named the A710 "Berlinette 2", was designed and 2 prototypes were built. Due to the cost of the project (600 millions Francs), and as adding modern equipment and interior would compromise the price and performances, the project was canceled. The Dieppe factory is known as the producer of RenaultSport models that are sold worldwide. This was originally the "Alpine" factory that Renault gained when they acquired the brand in 1973. Some of the Renault Sport models produced in Dieppe are currently the Mégane Renault Sport, Clio Renault Sport and the new Mégane Renault Sport dCi is to be built on Renault’s Dieppe assembly line. All the RenaultSport track-, tarmac- and gravel-racing Meganes and Clios are also made in the Dieppe factory. In October 2007, it has been reported that Renault’s marketing boss Patrick Blain has revealed that there are plans for several sports cars in Renault’s future lineup, but stressed that the first model won’t arrive until after 2010. Blain confirmed that Renault is unlikely to pick a new name for its future sports car and will probably go with Alpine to brand it. Blain described it as being a “radical sports car” and not just a sports version of a regular model. The new Alpine sports car will likely have a version of the Nissan GT-R’s Premium Midship platform. The presence of sportier models in the Renault line-up would give the French automaker a better opportunity to capitalize on its Formula One prowess, having won two back-to-back world championships with Fernando Alonso, translating these efforts to its production cars is a moot point because Renault’s lineup is lacking in the sports car department. Management is hoping to change all that and is keen to start building sports cars again, as it has in the past, with the revival of the legendary Alpine label. In May 2012, images of a new Renault Alpine concept titled as Renault Alpine A110-50 were leaked prior to its debut in Monaco. According to a Spanish car magazine it is said that the road version will be released in 2013. In November 2012, Renault and Caterham announced plans to develop affordable race cars under the Alpine brand which are to be available in 2016. In this partnership, Caterham will acquire 50% ownership of Alpine while the new cars will be produced at Renault’s Dieppe, France assembly plant. This entry was posted in Uncategorized on 21/08/2017 by klarmprototyping. This entry was posted in Uncategorized on 18/08/2017 by klarmprototyping.